Darren from Tactical Paintball Games loves paintball. 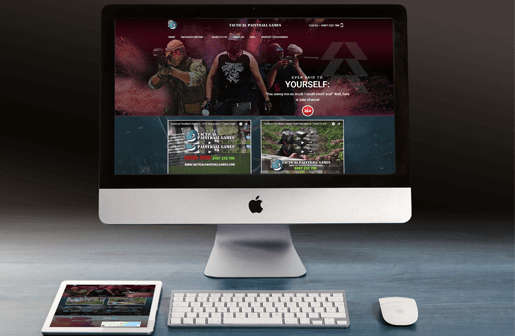 He’s created one of the best paintball fields in the country and needed a fresh and up to date website that truly reflected the recent improvements and investment he has put into his business. We created his original site, way back in 2011, and now teamed up again to bring in the bookings to fill his field with enthusiastic players! Having 10 different paintball fields at the one location, with a variety of different games that can be played on each field, combined with the vastly different groups of players who visit – we needed to make sure we set up the site to cater to all those who plan on visiting. Individual pages were created for each field, with action-packed photos and videos to show off the gameplay and paintball environment. We also created individual pages for each package they provide in their target markets to best be found on Google by the users searching for each specialty. Throughout the whole site, Calls To Action features are strategically placed to move the visitor directly to making a phone call or locking in a booking. On mobile devices, a “Click to Call” button hovers, prompting an easy way to place a call for more information. Newsletter signup is integrated with MailChimp to automatically collect email addresses for easy future re-marketing efforts – all invaluable for busy business owners. To save on the same questions being asked over and over again on the phone, vital, clear and correct information is placed throughout the website, as well as in the FAQ’s (Frequently Asked Questions) area. Now, once the visitor makes the call, they are usually much more prepared to book or have specific questions instead of potentially time-wasting ones. All this saves time and money and allows Darren to get back to what he loves best – umpiring epic paintball games! With big plans on scaling the whole system to include an online store, web-based booking system and integrated marketing system, we created a solid and secure platform that is fully customisable to cater to fast future business growth. This is an often overlooked aspect of many competitor sites and can cost those businesses more in the long term by not been efficiently geared to seize opportunity and expansion at the flick of a button. From the beginning, we worked hard to make sure TPG’s website would rank well in Google. A copywriter was brought in to create a unique and energetic personality and tone of voice. Well written text and descriptions now help visitors find what they are looking for, and Google rewards Darren with high organic rankings in local search. We optimised the Google My Business listing and packed it out with handy information and photos to really get the best out of the local search market. Google Maps is integrated into the website and visitors now know how to easily find the fields. The result has been a terrific increase in bookings and higher player turnout. NEEDING A KILLER WEBSITE RE-HAB SOLUTION? 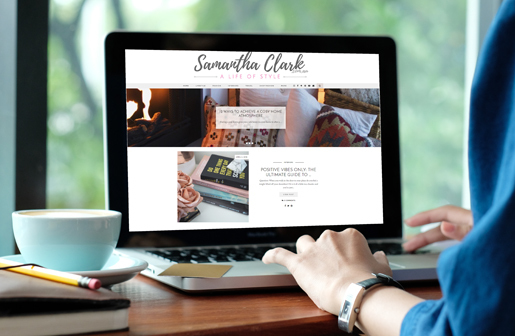 If you are looking for a website that does the heavy lifting for you, speaks your ideal clients language and converts – contact us to see if we’re a good match. PC Pitstop Port Macquaire is a computer and smart device sales and repair service that needed a new website leveraging current design trends and that was easy to browse their huge variety of services, leading their potential customers to call or come in-store. The result is a quick search, clean-branded, easy contact, easy book and quick to trust fully functioning and found site. The team at PC Pitstop had put in a lot of prior work in establishing top ranking SEO through and they needed the new website to retain those critical Google rankings, as they migrated from their prior website, which was built in Joomla to their current website that is built in WordPress. They had a huge and popular blog on their old site and they also needed to ensure that the previous blog posts and URLs were retained in the migration. A huge task that was a key driver in their SEO success. 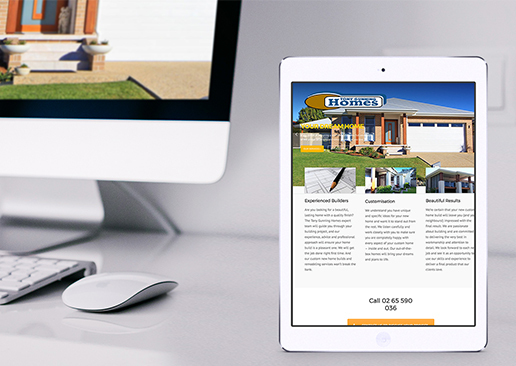 We originally designed their website back in 2010, back before mobile optimisation was as essential as it is today. After discovering how their audience was most consuming their content it became vital to not just optimise the entire site for mobile use, but to test and adjust to get the simplest, most effective result. The menu items were extrapolated for easier search rather than condensed like so many other sites. Accessible via one drop down on mobile, this also helped with clearly defining services so visitors felt immediate trust and acted upon it, as well as improved Google ranking organically. This is a great example that spending a bit more time in explaining your services on your website can have trust and profit-improving results quickly. The branding was also enhanced for mobile with a good balance of friendly and engaging images and white-space achieved, allowing the key points of each page to stand out, perfect for the modern day skim-reader, i.e. their main audience! Calls to action now pop and are easy to access with contact details front and centre atop every page, a Click to Call Button feature and a ‘Need Help’ Messenger Bot manned by the staff themselves via Facebook. DO YOU HAVE AN INFORMATION HEAVY SITE THAT NEEDS MOBILE OPTIMISING? If you take a look at your website on your mobile phone and find it scattered and hard to read and use, chances are your site is not mobile optimised and you may be upsetting a lot of potential customers right away. Mobile optimisation can no longer be ignored as smart device use and convenience is only rising and not going anywhere anytime soon! – Contact us to discuss your options today. Tony Gunning Homes is a builder with 20 years experience in the Camden Haven area and his Ben & Sam built website perfectly represents his talent and versatility cleanly whilst also out-ranking his competitors whose websites have existed longer. A smart and simple online solution with profitable real world results! Tony is a great guy to work for – he knew he wanted a great looking web presence that allowed his customers to see the attention to detail that he puts into every single home he builds, so he left all of the design and flow up to our creative team. We sat down with Tony and asked lots of good questions and then allowed him to tell us his story, and together with some high-resolution photos he sent through this is the end result. The sign-off of the project was completed, from start to finish in well under 4 weeks. 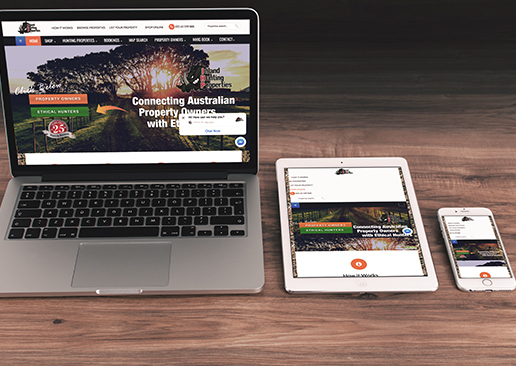 Tony also took advantage of monthly hosting on our fast Sydney servers, as well as 24/7 website monitoring, ensuring his site is always online and available, scheduled updates and servicing of his website to always up to date and error free. It’s no use investing in a website solution if it never ranks well and gets found by Google. With all the websites we build, we first take a detailed competitor analysis to see how they are all ranking in Google. W then we put strategies in place to not only match the competition but beat them in rankings. This is done in a number of ways and is a varied level service we build into all the projects we take on and into websites that have been built by others. Ongoing monthly reports are sent to all our clients tracking their rankings, results of their chosen search term keywords, and important audience breakdowns that help you make better business and marketing decisions each and every month.